It is that time of year again, the encouragement to stop smoking hits a high in the month of October. The aptly titled Stoptober urges us to give up smoking for 31 days. 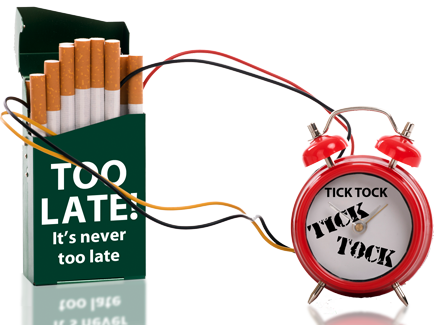 There is a reason for this and that is, if we can quit smoking for a number of weeks, then you have pretty much become an ex-smoker! It doesn’t take long for the mind to form new habits, of which smoking is one. When we persevered with smoking in the beginning, the body and mind learned that you were now a smoker! The unconscious part for your brain doesn’t really know right from wrong and so it continued for you, that’s why I hear a lot of smokers say that they light up a cigarette when they didn’t really need one. All you smokers already know how bad smoking is, but you choose to ignore the pictures on the packets and the horror stories of amputated limbs. Stoptober is an important movement, with lots of great TV and radio ads featuring actors and comedians, all encouraging you to give up the habit for the month of October. If you need help with this, then hypnosis is a great way to help you kick the habit for good. It works with your own desires and will power, even though I hear a lot of my clients say that they have no will power. Of course, they have, they just feel as if they don’t. So I use hypnosis to work with the wish and desire to be an ex-smoker. It has to come from them, I use all the clients language and words and weave them into the 90 minute session. It has to be like this, because if you merely read hypnosis from a book, you aren’t giving your clients the best! My sessions inject and encourage communication between the client and myself, I like to be dynamic and my clients really like this. So if you WANT to give up smoking, then you can choose to follow the advice of stoptober, even if we are a number of days into the month, you can still CHOOSE to quit. If you want any more information, please feel free to contact me.